I'm Rebecca Dickson, the artist behind Rebecca Jane Sugar Art. I'm married with three little kids and live in the garden city, Christchurch in New Zealand. I have always loved baking and cooking, as well as trying my hand at many different crafty creative skills over the years. 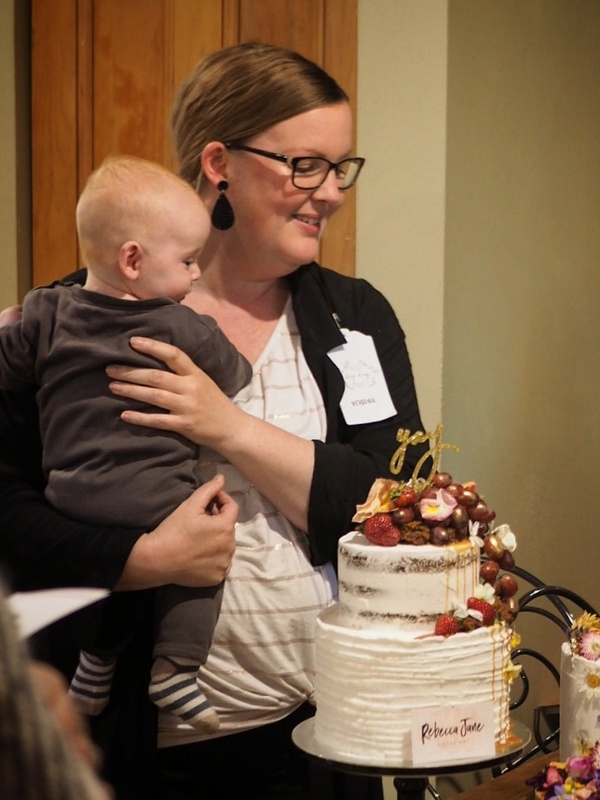 I discovered cake decorating in 2014 while researching ideas for my daughter's birthday cake and a wild love affair blossomed. Since then I have researched and learned all that I could, constantly looking for opportunities to try out new ideas and techniques. It became apparent that this was something that combined my two loves, baking and creativity, and was what I want to spend the rest of my life doing. I have developed a love for contemporary designs and silhouettes. I love the challenge of bringing new ideas to life, or breathing fresh energy into old ones, to imagine them in a new way. Not content with doing what's always been done, I gather inspiration from a wide range of sources. Art, nature, fashion, architecture, interior design, stories, people and so much more. I approach cake decorating as a fine art and love to push the boundaries of food and art. Rebecca Jane Sugar Art specialises in creating unique cakes and sweets for weddings and celebrations. Modern, artistic designs that will make a statement and form a stunning edible centerpiece for your event. I will work with you to bring all of your ideas and inspiration into one cohesive, fresh design that will tell your story in delicious edible form. Luxurious in both taste and design, my creations taste as good as they look! When I’m not in the kitchen (or child wrangling) you’ll find me in the garden. I’m slowly converting my home garden into a colourful oasis of edible flowers and other decorative non-toxic flowers. Being able to pop out to the garden and pick a bunch of blooms to decorate a cake is so satisfying. I love that they are spray-free and safe to use on food, as well as interesting and beautiful.